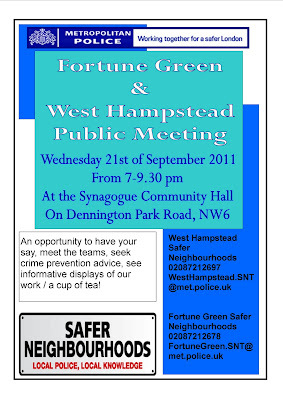 Want to meet your local coppers? 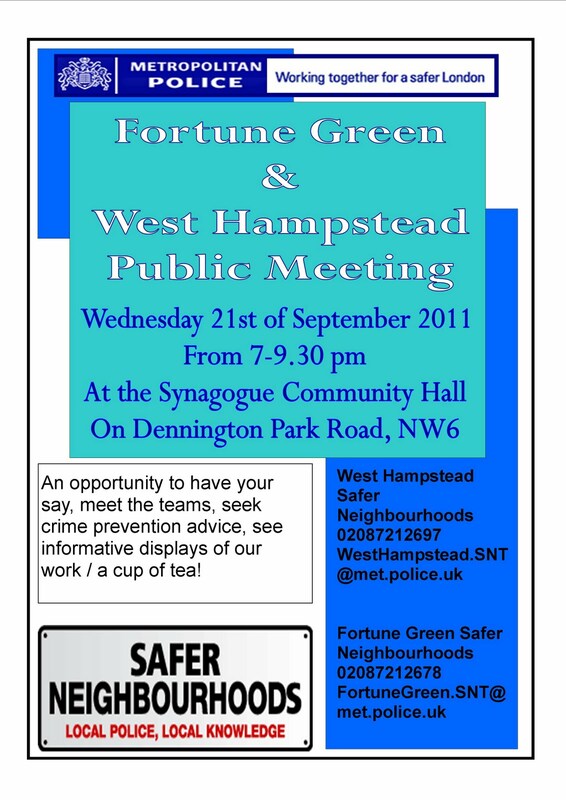 The Fortune Green and West Hampstead Safer Neighbourhood teams are holding a public meeting the evening of Wednesday September 21st in the synagogue hall on Dennington Park Rd. 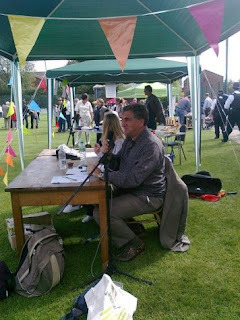 Why not go along and say hi (they’re a friendly bunch) and find out the latest on how they’re helping the community. I don’t think you’re expected to stay for two and a half hours!